More than half of Norwegians surveyed in a new public opinion poll were glad and relieved that Oslo’s city government finally agreed this week on a site and design for a new Munch Museum. Others, including many in the tourism business, were thrilled. 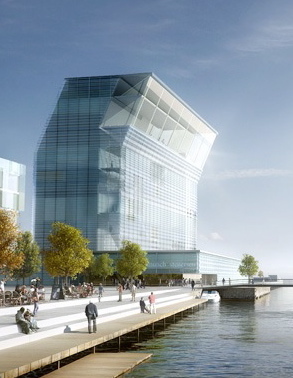 They think the new museum will attract thousands of new visitors to the Norwegian capital. 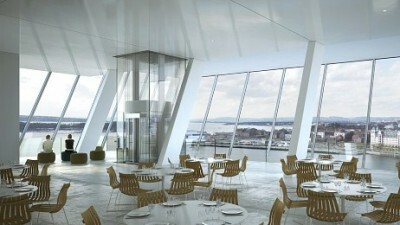 Even several earlier opponents of what’s expected to be a new Norwegian landmark said they were glad a decision was finally made to move the city’s vast and priceless inherited collection of Edvard Munch’s art from its relatively shabby location in an undersized building in the Tøyen district to a distinctive if controversial glass high-rise on the waterfront next to the Opera House. The poll, conducted by research firm Norstat for Norwegian Broadcasting (NRK) right after the Munch Museum agreement was announced on Tuesday, showed that 55 percent were either “very positive” or “quite positive” to the museum project that’s expected to cost at least NOK 4 billion (USD 689 million). Only 26 percent were “very-” or “quite negative.” Those aged 39 or younger were most positive. The Opera House, which opened five years ago as part of major waterfront redevelopment in Oslo, continues to attract large numbers of locals and visitors alike year-round. Helge Otto Mathisen of the cruise-ferry Color Line, which runs between Oslo and Kiel in Germany, thinks the new Munch Museum will attract hundreds of thousands of new visitors every year. “Our passengers are always looking for cultural experiences,” Mathisen told newspaper Dagens Næringsliv (DN) on Wednesday. He’s convinced the combination of the new cultural landmark and Norway’s nature will help fill Color Line’s ships with tourists from Germany and other European countries. 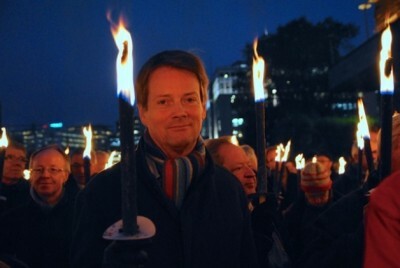 DN reported that Color Line already brings around 600,000 tourists, mostly from northern Germany, to Norway every year. When the new Munch Museum opens as now expected in 2018, Mathisen said he could “guarantee” the number will rise by at least 50,000, maybe more. In addition comes a general increase of another 50,000 over the next four years. DN calculated the economic effect of the planned Munch Museum (often referred to as “Lambda” in accordance with Spanish architect Juan Herreros’ name for it) at NOK 125 million per year for Color Line alone. That’s because the average German passenger spends the equivalent of around NOK 2,500 on a round-trip ticket to Oslo. Color Line has had good experience selling so-called “Oslo packages” in Germany that include opera tickets and guided tours, with sales doubling from 32,000 in 2010 to 65,000 in 2011. “With the Munch Museum in addition, we can end up with another 50,000,” Mathisen told DN, not least because Munch’s art is well-known and popular in Germany. City tourism officials were also celebrating the decision to revive the waterfront Munch Museum plans that were shelved two years ago as part of a political quarrel when the Progress Party didn’t become part of the city government. Progress Party politicians were among the few who were sour over the compromise struck by rival parties. The Labour Party found itself on the sidelines, and still unhappy that a new Munch Museum wouldn’t rise at its existing Tøyen location, but city council member Libe Rieber-Mohn from Labour said she wouldn’t sulk and would instead be “constructive” as the project moves forward. There were some grunts of disapproval, mostly among Socialist Left party members who weren’t happy that their SV leader on the city council went along with the government to form the crucial majority favouring Lambda, in return for major redevelopment of the Tøyen district. Others feared the money spent on the new museum will come at the expense of outlying areas. The state was already promising to contribute towards funding the project. Architect Juan Herreros himself told newspaper Dagsavisen that he “never gave up” on the project, despite the years of quarreling and delays. His design won an international competition four years ago, but then construction was delayed. “This has been one of the most intense projects in my entire career,” he told Dagsavisen. He thinks the passage of time actually helped.